The previous posting in this series looked at the flying Merlin powered examples of the Spitfire in North America. This post will be slightly shorter and will look at the examples flying with a Griffon engine. Delivered to the RAF in late 1944/early 1945, NH749’s first posting was to Southeast Asia Air Command. It was delivered to the Indian Air Force on the 2nd July 1945 and assigned the instructional airframe code of T3. In 1977 the airframe was acquired by Ormond Haydon-Baillie and moved to Duxford, having been found as a hulk in Patna, before later moving to Keith and Alan Wickenden in 1978. During the next few years the aircraft was rebuilt to flying condition at Cranfield, with the first flight taking place on the 9th April 1983. In 1985 ‘749 was bought by David G. Price and the aircraft was shipped to Chino for further rebuild work, flying again on the 24th July 1985. ‘749 stayed under the ownership of David Price/ the Museum of Flying until April 2003, when she was sold to the Commemorative Air Force, with whom she still flies today. 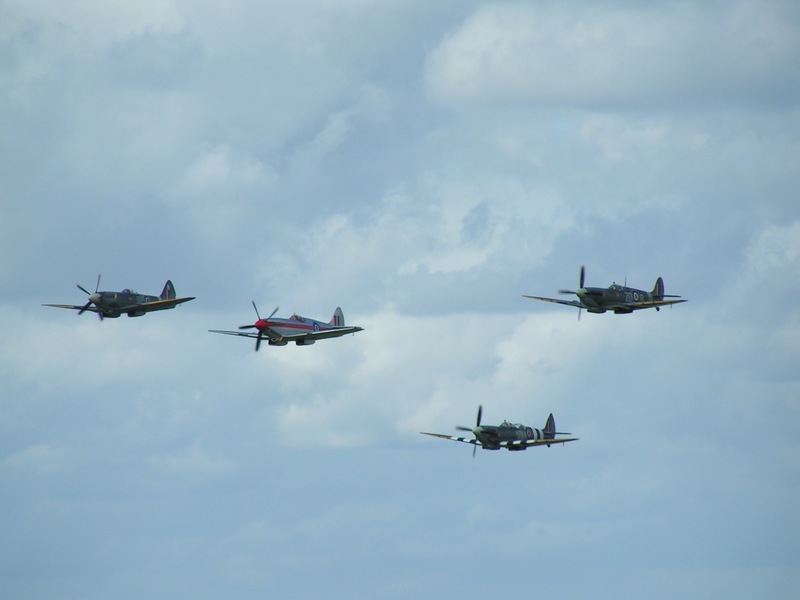 RN201 can be seen leading this four-ship formation at Biggin Hill. Built in 1945 at Keevil RN201 was soon sent to 350 Belgian Squadron until May 1946. 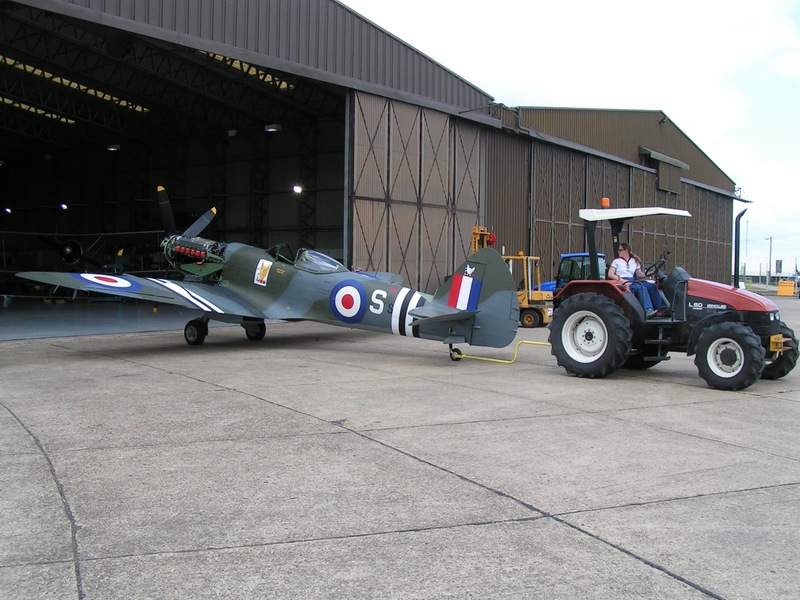 The Spitfire then returned to the UK to be placed into storage. In 1948 the aircraft went back out to 350 Belgian Squadron again! Though this time it stayed a bit longer, its stay didn’t end as well, with the aircraft being written off in a belly landing in 1950. Following the accident ‘201 was put on display at Beauvechain Air Force Base where it remained for 40 years. In May 1990 British collector Guy Black bought the aircraft and had it flown back to the UK in a Belgian C-130. After several years in storage the airframe was moved to Audley End in February 1998 for restoration work. Flying again on the 24th April 2002. This Spitfire was always a delight to see as it wore a striking silver and red post war racing scheme, for a long time TD248, a Mk XVI based at Duxford wore a similar scheme and the pair always looked great in the air together. In 2006 RN201 was sold to Tom Blair and the Spitfire was sent out to Kissimmee, where it flew again on the 4th December 2006. First flying in March 1945, SM832 was originally ordered as a Mk XI airframe and was delivered to the RAF later that month. On the 15th March the Spitfire was shipped to Bombay, arriving on the 14th May. Following this arrival ‘832 sat in storage for 2 years before being transferred to the Indian Air Force in July 1947. Following time at the Indian Military Aademy the aircraft was purchased by Ormond Haydon-Baille and was recovered to Duxford. Once back in the UK Doug Arnold bought the aircraft and soon had it registered as G-WWII. Restoration work began immediatley to Mk VIII standard. In 1986 the project moved to the Fighter Collection, but was kept in storage for the next 2 years. Charles Church took over the project in 1988 and it was decided it would be finished as a Mk XIV. Then, in 1991 the aircraft moved back to Duxford and the Fighter Collection, with the final restoration work being completed by Historic Flying at Audley End. The first flight was on the 22nd May 1995. After a few years at Duxford the aircraft moved across the channel to become part of Christophe Jaquard’s collection based at Dijon. In 2002 the aircraft returned to Duxford before heading across the Atlantic in 2003 to join Comanche Fighters. Until recently there were two airworthy Mk XVIIIs in North America, however it was recently announced that TP280, previously owned by Rudy Frasca, will now be joining the Hangar 10 collection in Germany, so that will feature in the European Spitfires post. SM969 being towed out of the hangar at Duxford for engine runs in 2009. Completed in the middle of 1945 SM969 was shipped to the Indian Air Force in 1946. On December the 12th 1946 the Spitfire crashed during aerobatics, killing the pilot. The wreck of this aircraft was returned to the UK in 1978 and sold to Doug Arnold. Following restoration work it flew again on the 12th of October 1985. Following Doug Arnolds death in 1992 the Spitfire was sold to the United States, where it stayed in storage and was not flown. Jim Beasley enjoying himself in the Mk.XVIII Spitfire at Reading in 2014. In 2006, the Fighter Collection acquired the airframe, shipping it back across the Atlantic to Duxford, over the next two years the team at Duxford rebuilt the aircraft to airworthy standard. It was seen on static display at Flying Legends 2008, but never flew in the UK. Purchased by Jim Beasley the aircraft was shipped over to America once again, performing its post restoration flight on the 21st of December 2009. It was a shame to watch the aircraft be rebuilt over a number of years only to never see it fly, so I was pleased to be able to see Jim Beasley display it at the Reading WWII weekend in 2014. Jim’s performance in the aircraft must go down as one of the most memorable late marque Spitfire routines I have seen. Owned by collector Robert Jens, this Spitfire is currently in storage at Vancouver International Airport. The aircraft has only been flown very rarely since restoration. 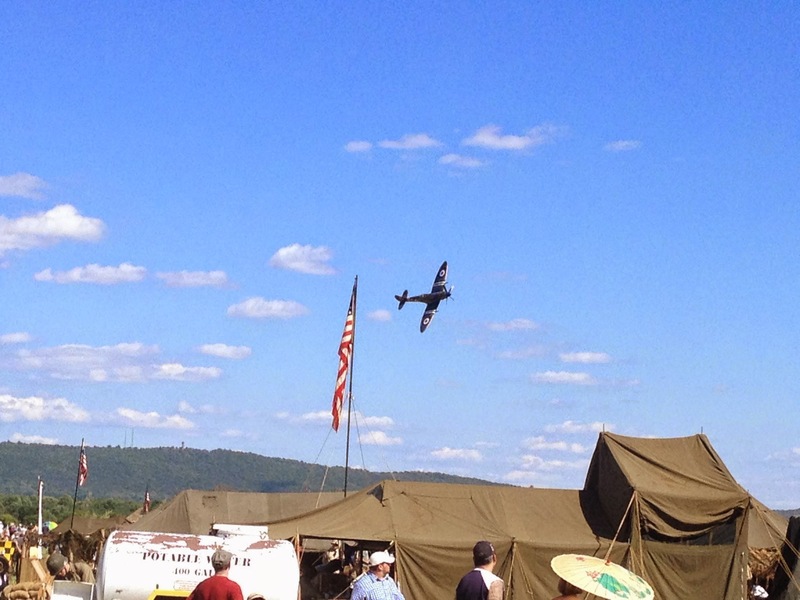 Mr. Jens also owns the recently restored Mosquito F-Freddie. Owned by Wes Stricker this example of the Seafire flew for the first time in 2010 and was on static display at Oshkosh that year. Since returning from Oshkosh it is believed the Seafire has not flown but is kept in airworthy condition. The ultimate incarnation of the Spitfire – the Seafire 47, contra rotating props and an entirely new wings shape. This aircraft is owned by Jim Smith and was restored by Ezell Aviation. The Seafire performed a few flights but is now grounded due to its rarity, though it is maintained in airworthy condition. There is some excellent footage to be found on Youtube of this aircraft on one of its few flights. Thats all for North America then, quite the collection I think you’ll agree. As I said before there are some other aircraft which seem to have a question mark over their current condition, but I believe most of what is written above regarding the current state is correct. If you know anything more/different to what has been written in the posts, don’t hesitate to get in touch.